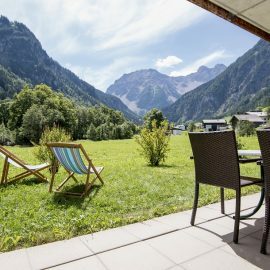 Real “Bärig” – the Almchalet Berig! 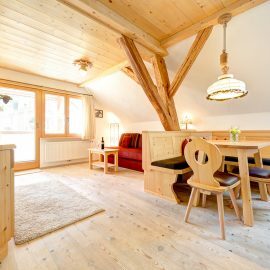 Here you will find not only plenty of space for social gathering, but also space for peace and privacy and for the children a separate game room and Rumtollplatz around the house. Feel good for extended families and friends up to 12 people. You will like the sunny location of the Almchalets. Here the sun still shines, where it has been shady in other places for a long time. On the balcony or in the garden you can enjoy the entire mountain panorama of Brand to the fullest. And our tiled stove provides comforting warmth when it’s cold and icy outside! The village center with the village railway is less than a 15-minute walk away. 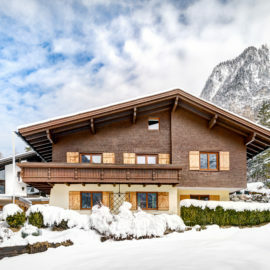 In winter, you can reach the practice lift at the Schedlerhof with a toboggan slope, snack bar and ski school in 5 – 8 minutes. In summer, many outdoor activities in the immediate vicinity: Golf – tennis courts – climbing park – swimming lake – horseback riding – petting zoo. • Windscreen – space for skis, prams, hiking poles etc. • furniture with history! Over 50 years old recycled hand-made solid wood furniture made of fire.